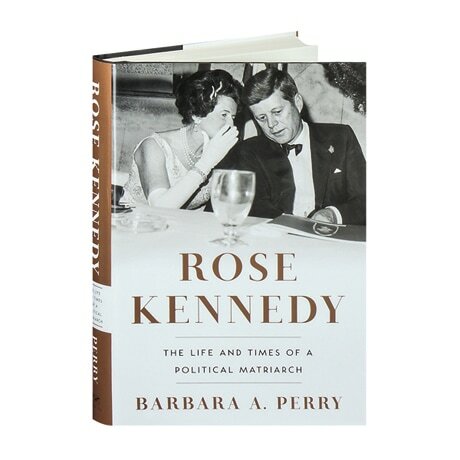 In this close portrait of a private woman who became a political legend, presidential historian Barbara Perry captures Rose Kennedy's essential contributions to the Kennedy dynasty, unearthing the complexities behind the impeccable persona she showed the world. Rose emerges as a fascinating character, savvy about the reputation of her family and resilient enough to persevere through the tragedies that befell them. She defied her father, Boston mayor John Fitzgerald, to marry ambitious businessman Joseph Kennedy, and aided his political career by carefully managing her family's image. After Joe's isolationist views on the eve of World War II made him a political liability, Rose took to the campaign trail for their son Jack. An indefatigable campaigner for Jack, Bobby, and Teddy, she had an unshakable Catholic faith that informed their compassionate social policies and her daughters' philanthropies. Perry also looks past the fanfare, revealing the matriarch's vulnerability. Rose sought solace from crushing personal tragedies and a philandering husband in prayer, habitual shopping, travel, and medication. Initially ashamed and afraid of daughter Rosemary's mental disability, Rose ultimately shined a light on the affliction, raising millions of dollars for disabled children. Her perfectionism ultimately created a family portrait that resonated in modern politics and media.